Kakeru is the most popular guy in class. A lot of girls like him and want to be with him. Especially Maju, a young lady that loves Kakeru... a little... too much. She's a fortune-teller, reading tarot cards is her specialty. She's also jealous of Mitsuki because she has the privilege to argue, fight, be around and live next to Kakeru. And so Maju gives Mitsuki a lot of bad predictions that will happen to her in the near future. Poor Mitsuki. Kakeru and Mitsuki's parents come from a long line of ancestral Holy Workers that fought demons back into their world because these demons tried to overtake and control the human race. They defeated them and sealed a door so that these demons would not escape. But this seal was to last only two thousand years. Mitsuki's entire life will change when she is attacked by a demon that broke free from the seal. 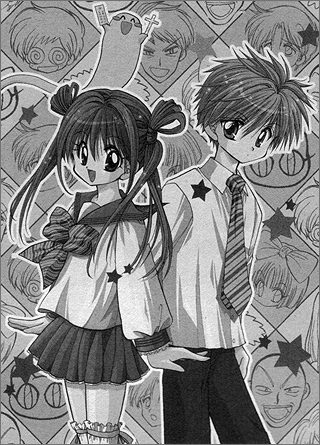 She is saved by Kakeru, who uses Holy powers to save her from the demon. 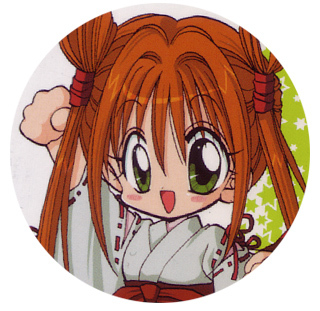 She would later learn that she will have to team up with her enemy, Kakeru, to help him fight these demons and restore the seal. It's not easy work trying to get along with your childhood rival that you live right across the street from, go to school with and see... every single day. Not even their parents get along. Besides the hatred that the familes share between each other, this manga is filled with a lot of comedy, exicitement and plot twists. There's also a bonus manga at the end called: The Secret of Boys. It's about four highschool girls who've realized that most of the girls in school have boyfriends except for them, so they decide that Chika, the main character of this manga, would disguise herself as her twin brother, Kazushi, (in a wig, his clothes... and... laxatives??) and go hang out with his guy friends to research the male biology, what kind of girls boys like and to see inside the mind of guys. A very funny manga with a happy ending that we shall not reveal. Heehee. 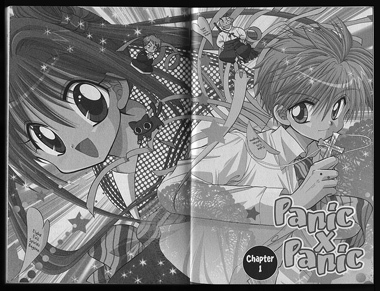 Below: Two double page spreads from Panic X Panic, click on each mage to see at full size. 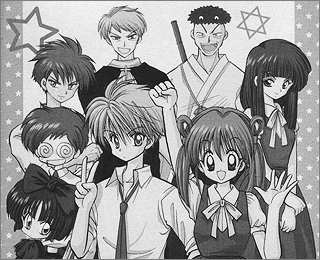 Below: A panel from the Japanese version of Panic X Panic. 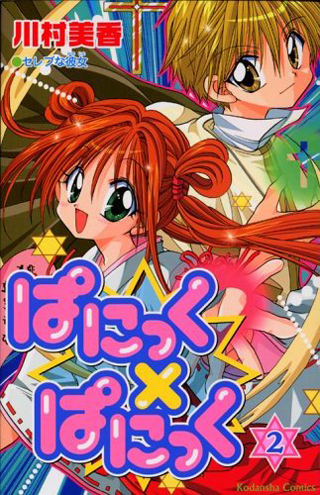 Below: The Japanese cover of the second volume of Panic X Panic. Below: Illustrations from Panic X Panic.